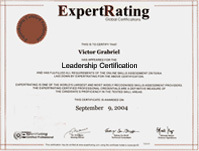 (leading to ExpertRating Leadership Certification). Leadership skills can help you gain the respect and admiration of others, while also allowing you to enjoy success in your career and more control over your destiny. Contrary to popular belief, leadership skills can be learned and developed. Even if you don't hold a leadership position, this course will teach you how to use the principles of great leaders to achieve success in almost every aspect of your daily life. This course includes a knowledgeable and caring instructor who will guide you through your lessons, facilitate discussions, and answer your questions. The instructor for this course will be Lynne Morton. About the ExpertRating Online Leadership Course instructor : Lynne Morton is a management consultant and executive coach with 20 years of experience helping individuals and organizations improve their performance. Her professional experience includes having served as an Associate Director at PricewaterhouseCoopers, a Vice President at Seabury & Smith (Marsh & McLennan), and an Account Supervisor at Burson-Marsteller. Online Leadership Course requirements: For taking this instructor led ExpertRating Online Leadership Course you need Internet access, e-mail, and and the Microsoft Internet Explorer or Mozilla Firefox Web browser. "I enjoyed the amount of information and especially the additional resources for future learning on this subject. Thank you." "I really enjoyed the course and wish that I would have had time to spend in the discussion area. It was obvious that the instructor's knowledge of leadership could help anyone to hone their leadership skills." "It was a great course. I gained a lot of insight about Leadership. Thank you." "It was a pleasure taking your leadership course and I will be registering for more, shortly." "This course was very enlightening. I learned that being a good leader had many aspects to it. I always thought of the leader as the one who took charge and did everything their selves. I learned that a good leader knows how to delegate these responsibilities. It was a pleasure being able to do this course online." "This was my first time taking an online class. The online format and class instruction were excellent. I will definitely recommend it to others. The instructor did a very good job. I am looking forward to taking another online class." ExpertRating is one of the world's only ISO 9001:2015 Certified companies (from TUV America) offering an Online Leadership Course (leading to ExpertRating Leadership Skills Certification). 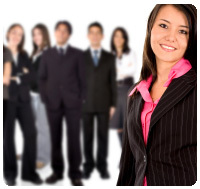 When you choose the ExpertRating Online Leadership Course you can be sure that you are buying a premium International certification that is recognized by hundreds of employers and Government bodies in the US and other countries. With ExpertRating you get certified quickly online and you are equipped with a store house of information through the in-depth ExpertRating Online Leadership Courseware which has been developed by experienced Leadership and Motivational Experts. The ExpertRating Leadership Certification is by far the best value for money instructor led Leadership Program at $129.99. How much does the Leadership Certification cost and what does it include? You can buy this ExpertRating Online Leadership Course leading to Leadership certification at a special offer price of only $129.99 which includes the in-depth ExpertRating Online Leadership Courseware and exam fee. This is the best value for money Leadership Program available till date. You get the following services within the USD $129.99 fee. 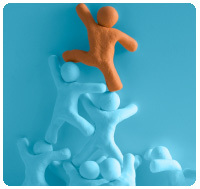 In-depth ExpertRating Online Leadership Courseware including scenarios and case studies. World wide airmail delivery of the hard copy Leadership Certificate. The Leadership Certificate can be used to prove your certified status and does not mention the words "online". The process of getting yourself certified is very simple. All you have to do is buy the ExpertRating Online Leadership Course for $129.99. Log in to the instructor led course using your password. Go through the ExpertRating Online Leadership Courseware (which would take you 6 weeks) and complete the final Leadership Certification exam at your convenience. 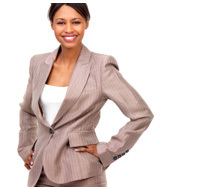 You can complete the exam within 2 months of buying the Leadership Certification. The result of the exam appears as soon as it is completed, and your Leadership Certificate is mailed immediately. Chapter assignments to help you practically use the Leadership that you will learn during the Leadership Course. The final exam is fully based upon the ExpertRating Online Leadership Courseware that is provided along with the Leadership Certification. If you have gone through the courseware properly you should not have a problem clearing the exam. The exam consists of multiple choice questions from all chapters of the ExpertRating Online Leadership Courseware. 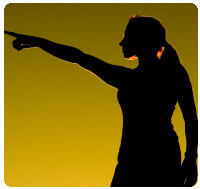 Empower yourself and become powerful change agents with the help of Leadership course. A process by which an individual inspires others to achieve a particular goal and steers the organization in a manner so that it delivers more consistent performance is known as leadership. Leaders do not fall from the sky. They differ from others in their beliefs, values, ethics, character, knowledge and skills. Possession of authority does not make anyone a leader. There are some special qualities and skills which are needed to lead others. The Leadership course will provide tips on how to effectively and efficiently work and lead in teams. The ExpertRating Leadership Certification course will discuss leadership qualities like strong analytical capabilities, intelligence, and the ability to take risks and decisions, the ability to motivate others and communicate effectively. 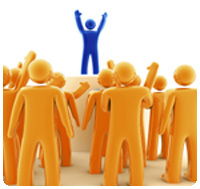 Leadership Qualities and Models: Do you think you know what leadership is? In this first lesson, you'll see how many ways there are to answer that question. And you'll start to get a sense of what leaders really do. Students will begin to share their thoughts and use roles models as ways to showcase the kinds of behavior that they'll work at together. This lesson always generates lots of discussion! Leadership Responsibilities: In this thought-provoking lesson, you'll look at the responsibilities leaders have to individuals and to organizations. And you'll begin to look at some of the leadership tools that will be used in this course—readings, ideas from great leaders, and your journal—to get you thinking about what you can do to behave like a leader. Value-Centered Leadership: You do what you believe in, don't you? This lesson will look at two important aspects of leadership: Its relationship with principles and its relationship with emotional intelligence. If you've ever known someone whose behavior seemed out of touch, you'll find out why in this lesson. Leadership Self-Assessment: Leaders know themselves well, so this lesson will talk about methods you can use to get to know yourself better. You'll learn about personality type assessments and behavioral assessments. This study will be particularly fun and will have an impact on your behavior in all aspects of your life. Teambuilding: You probably already know that successful leaders are teambuilders, but do you know what types of teams are possible or how to build them? This lesson will take a closer look at it. Every one of you has been on some kind of a team, so this lesson has guidance and insights for you all. Communication: Leaders are often differentiated from others by the power of their communication skills. In this lesson you'll get a sense of why and how when it guides you through some simple but insightful methods you can use to improve your communication skills. This lesson helps many students start changing their behavior right away! Coaching or Mentoring: This lesson will begin to explore the types of behavior that successful leaders portray—leaders guide and support others by asking questions, providing advice and feedback, supporting others and building morale. This lesson will provide you with plenty of practical tips and much to think about. Behavioral Styles: If you're wondering how leaders can balance being themselves and being a public figure, this lesson will help! This lesson will look at something called Situational Leadership, as well as how leaders relate to organizations. This lesson will be an eye-opener! Influence and Collaboration: Ready to learn more about your own behavior? This lesson will look at how leaders make decisions and influence others without forcing them. This lesson will answer some challenging questions, and explore some insightful guidelines, as well. Providing Strategic Vision: Everyone turns to a leader for strategic vision, but do you know how to think strategically? This is an important lesson because it takes some of the mystery out of the terms strategy and vision. Creating/Changing Culture: This lesson will discuss another big topic: How leaders affect change. This lesson will look at some very specific things that leaders—and you—can do to affect change. As in all previous lessons, you'll read quotes from famous writers about change and leadership that will help stimulate your own ideas. Facilitating Creative Thinking: Leaders aren't the only ones who have great new ideas, and so this course will end with a look at how leaders inspire creative thinking in others. It's a logical and fun way to end—pointing you in the direction of your own new ideas. The last thing this lesson will do is take a thought-provoking look at what it means to be creative.